Best Perl Development Service for Your Business..
You are at the right place if all you need is a first-in-class Perl solution. Because we are all geared up to serve you with our experience, expertise, and enthusiasm. Grab this opportunity and acquire the best technology solutions with collaborative customer services. 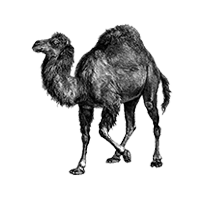 Our team of skilled and experienced Perl developers provide customized solutions to our clients based on their specific business requirements. Equipped with the latest industry standards and state-of-the-art technological knowhow, our dedicated team of Perl developers are ever-enthusiastic and ready to take on the most difficult challenges and come up with superior Perl solutions. At Rigel Networks, our commitment drives us to deliver next generation applications that are fast, efficient, secure, scalable and flexible providing enhanced user experience. Our team of Perl experts have successfully served clients across industries like retail, hospitality, healthcare, field service & logistics, e-commerce, etc. Perl is a widely used and popular programming language with text manipulation capabilities and rapid development cycle used in CGI scripting, graphics programming, system administration, network programming, bio-informatics, e-commerce, and many other applications. Its capability to handle encrypted web data makes it capable to handle e-commerce transactions using payment gateways. Combines the Best of Programming Languages Like C, Awk, BASIC, etc. Why Choose Rigel Networks for Perl? Rigel Networks possesses the pool of Perl developers with technical expertise and solutions development experience that coupled together brings out the best services for our clients. With the passion to transform challenges into opportunities, our Perl team handles projects ranging from development of networking portals to integrating Perl services in a cost-effective and time-efficient manner. Hiring Perl professionals from Rigel Networks will facilitate you in procuring sustainable solutions, quality services and excellent support. The expertise of our skilled developers provides cutting-edge applications and solutions that can be customized to suit your business requirements. Leveraging the power of Perl, we design and deploy end-to-end solutions and services from simple ones to the highly advanced. From Script development to database applications, web applications, GUI development, text mining, and much more, we add value to your business goals by offering best-in-class solutions developed using Perl.